I unequivocally affirm and uphold the dignity, sanctity and value of all human life, including – of course – people of the Jewish faith. I must also state in no uncertain terms that I am absolutely and completely opposed to and disgusted by all forms of terrorism, all terrorists, and I oppose anyone who would commit, call for, or threaten violence against civilians. This is why as a person of faith and a religious leader, that I am mortified that an impassioned sermon I gave in light of President Trump’s Jerusalem declaration is being seen as a call for the very things I despise. That is an understatement. 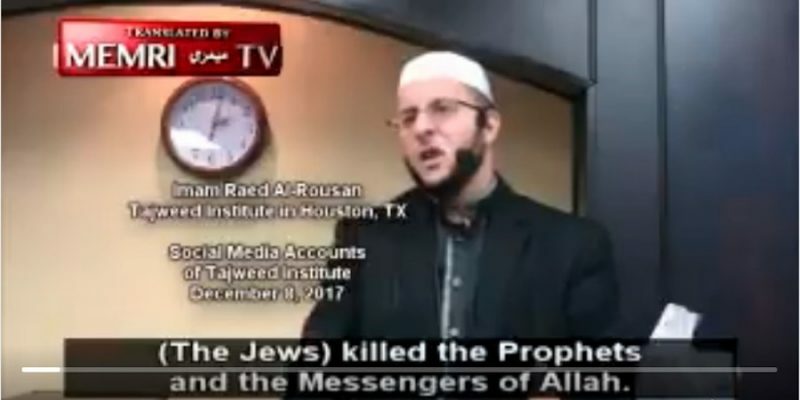 To learn more about what the Qur’an teaches about Jews, Christians, and all non-Muslims, go here. Previous Article 2017 Politics in Texas Was Crazy. Here Are the Highlights.